Pop art? More like chop art. This week, one of the biggest price chops was on a townhouse owned by the son of pop art icon Roy Lichtenstein. The home, which was first listed for $25 million in April, has now been reduced by $3 million. In total, six homes in the over-$10 million market were reduced by more than 5 percent last week, according to data from StreetEasy. 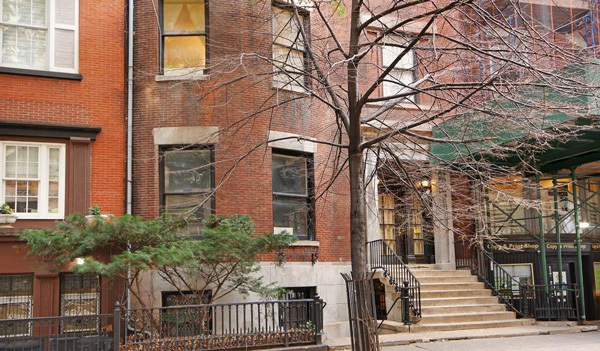 This 33-foot-wide townhouse hit the market in January, asking just under $24 million. Six month later, it’s been cut back by 25 percent to $18 million. The entire home spans 9,200 square feet, and includes additional air rights that are expandable up to 18,475 square feet with the Landmarks Preservation Commission approval. Though it’s currently a multifamily property with eight separate units, it’s being marketed with the potential to be converted into a single-family home. 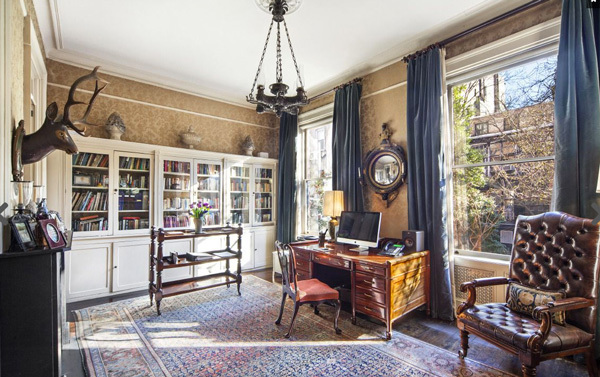 It has 11 bedrooms and seven bathrooms, and features a double-height entry gallery, ornate mantles and plaster work. The Corcoran Group’s Laurie Lewis and Peter Comitini have the listing. This home, which belongs to the son of artist Roy Lichtenstein, was first listed for sale back in April for $25 million. But filmmaker Mitchell Lichtenstein and his husband Vincent Sanchez have now reduced the home by 12 percent down to $22 million. It’s the first time the Greek Revival townhouse has been publicly sold in 170 years, according to the listing. Built in 1847, the house features four bedrooms and three-and-a-half bathrooms across four stories. There’s also a south-facing garden with a set-back terrace above. Lichtenstein paid $2.5 million for the home in 1997, according to records. Stribling’s Vals Osborne, Lee Ann Jaffee and Steven Sumser have the listing. “The townhouse market has definitely slowed over the past year. So the slowing down requires a pricing adjustment,” said Sumser. Once asking $32.5 million, this 4,000-square-foot apartment has just had 9 percent shaved off the ask. The apartment at the Macklowe Properties and CIM Group-developed ultra-luxury building has heated floors, a steam shower and views of the Empire State Building and the Chrysler Building from all south-facing bedrooms. There are three bedrooms and four-and-a-half bathrooms, as well as a chef’s kitchen and a library. 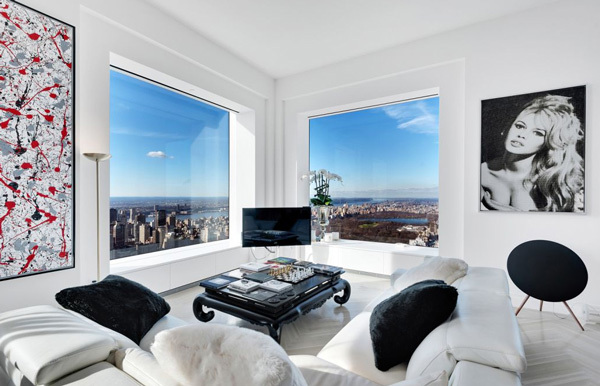 The apartment — which is being offered for sale with an accompanying service and a private wine cellar — last sold in March 2016 for $25.6 million. Why The Face LLC was the buyer, records show. Kyle Blackmon of Compass has the listing. He couldn’t be immediately reached for comment. General Motors president Dan Ammann, who bought this apartment for $5 million with his wife Pernilla in 2008, has just cut the home’s asking price by $1 million. First listed back in May, it’s now on the market for just under $10 million. The apartment has four bedrooms, three bathrooms, 15 windows in the main room, 14-foot ceilings, a sauna and exposed brick. 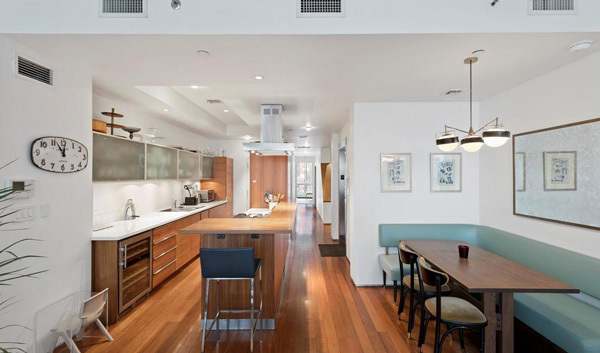 There’s also an open kitchen with a 7-foot marble island and a 6-foot pantry. Julia Hoagland of Compass has the listing. She wasn’t immediately available for comment. Listed for $20 million in January, this 12,280 square-foot property is now on the market for $18.5 million. Built in 2009, it spans seven stories and includes “numerous” bedrooms and bathrooms. The property can be used for both residential and retail. It features a chef’s kitchen, and can also be converted into three separate homes, according to the listing. Outdoor furniture company Oasiq has its showroom at the Lanson Properties-owned building, but announced it is moving to Soho because of the sale, the Commercial Observer reported. 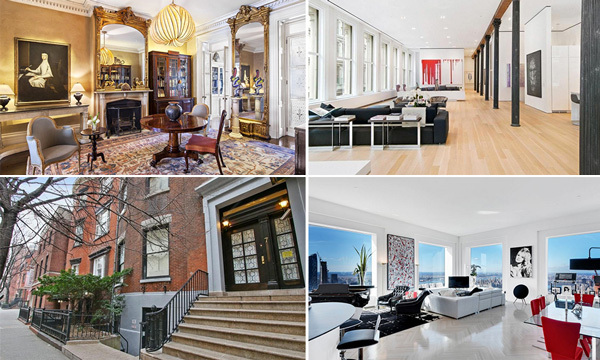 Douglas Elliman’s Raymond Dillulio, Lisa Interdonato, Fredrik Eklund and John Gomes have the listing. Dillulio declined to comment on behalf of the team.